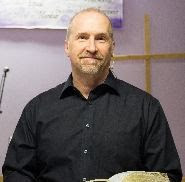 Jim Rogahn Ministries Blog: Amazing or ordinary? This picture is from a castle ruins along the Rhine River, not far from where I live. In fact, I usually see this everyday of the week. I still remember when I first saw it, how amazing it looked and how cool it was to me that there was a castle just down the road from my apartment! But that was a few years ago. 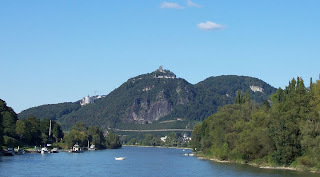 Now as I go by this castle, "Drachenfels" I see it but it is just an ordinary part of the landscape. This experience is similar to what I have seen with myself and others in a number of areas. It can happen with interesting landmarks we live near, it can happen with our relationships and it can happen to us in our Christian life. Since my main area of work has to do with the spiritual side of life I tend to see things from that perspective. So often people start out as excited Christians, amazed by God and His Word and in a few years they have lost the initial excitement and everything becomes ordinary to them. "Yes, the Bible is wonderful but I've read it. God is so good but I've been a Christian for some years and I've settled into reality." These are not unique ideas or attitudes but something I have seen more often than I care to say. When we start treating the Bible as just another book or we read it only as a part of our daily "Christian ritual" we are in a bad spot. When spending time with God is just another thing to do and not an amazing connection with the God who created the universe and sent His only Son to die for us we are in a sad state spiritually. What we need to do is really consider what the Bible is saying to us today and Who God is. Just like the natural landmarks we so often take for granted we need to take the time to stop, consider, and place the right value on God and His Word so we keep everything in the proper perspective. By doing this I believe we can keep our Christian life amazing and not allow it to be just ordinary. Good analogy. The landscape really is beautiful over there. Jim, had a chance to check out your website and blog. Good job on both. You're latest blog is sad but true. Blessings.